Aging requires much of the human body. A mere 200 years ago, the life expectancy of the average American was less than 40 years of age. 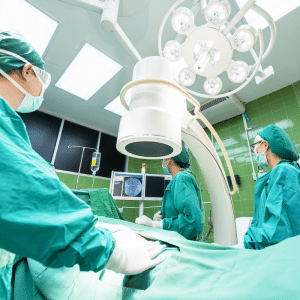 With the dramatic increase in length of life (due primarily to sanitation measures & advances in medicine) came the expectation that at some point in your life, you’ll probably have a surgery or another procedure that you’ll need to recover from. These days, surgeries are fairly commonplace & most people barely slow down for some of the simpler procedures. Doctors are finding that the more quickly that people, especially the elderly, are able to get back to normal activities, the better their bodies heal. Loss of muscle can greatly inhibit the healing process. While years ago people were kept in the hospital for long periods of time following surgery, these days it can be as little as an overnight stay for what once would have taken a week or more in the hospital. Do not be surprised by these changes. They have found it better all the way around. People who are relaxed heal better than those who are stressed. Being in an unfamiliar environment (like a hospital) can stress some people. Being at home in your own bed can be very healing. There is also less chance of infection at home if you are taking care of your incisions properly. In a hospital setting, all different kinds of bacteria & viruses are around…that’s what hospitals are for. While the surgical rooms are sterile, it does not mean that every surface is. The risk of contracting a staph infection, for instance, are far higher if you are in a hospital setting. During the healing process, be sure to follow your doctor’s advice. Resting will be paramount to your healing. Resting is possible without being entirely sedentary, however. Depending on the type of healing that you are doing, the doctor may recommend that you rest while also having brief periods of movement to keep your other muscles in tact and keep you as mobile as possible. Listen carefully to the instructions, and if you have any questions after arriving home, be sure to call the physician’s office to clarify any instructions or ask for a re-cap if you are unsure about anything. If one of your joints is supposed to remain immobile (shoulder, for instance), they will let you know and tell you how to stabilize the joint so that it will not move. Hydration is paramount after surgery, as well as after a major illness. Water flushes out any toxins created in your body from stress & also keeps you from getting dehydrated. Drink good, clean water, or if you prefer warm beverages drink a mild herbal tea or lemon water. 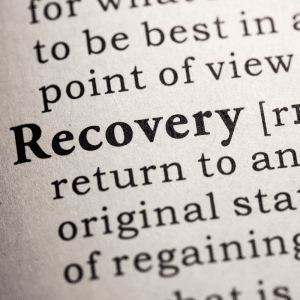 Medication may be necessary during your recovery for pain relief. Many people can get by without these but be sure to talk with your doctor. Some of them are given so that you can stay ahead of the pain and if you stop taking them it could take several days before you are able to control the pain again. If you do not like taking medications, let him/her know so that they can prescribe the bare minimum. Follow-up appointments are very important. If you are not healing just right, or if your illness has left you with unexpected repercussions, let your doctor know. If you’ve been on a stint of anti-biotics, for instance, and notice that you are having stomach issues following their use, bring it up to the doctor. If your infection was knocked out by the antibiotic, they may then recommend a therapeutic probiotic to combat the stomach issues. Medicines can be life-saving, but almost all of them have side -effects. It is important to be aware of that when you are using them. Also, be aware that medicines and herbal remedies can have very strong interactions. Doctors are beginning to have more training in herbals in order to recommend things to their patients that could be less invasive. In some cases they will recommend traditional medications along with herbals or supplements. They & the pharmacist have great understanding of interactions between them, so be sure to list everything that you are taking, herbals, pharmaceuticals, and supplements. Do not be afraid to do so & follow their recommendation for discontinuing certain supplements while you’re taking a new medication. Lastly, listen to your body. If something does not seem right, contact your doctor’s office immediately. They want to know sooner, rather than later, if things have gone amiss. They will let you know the steps that you need to take to get back on track.